Pudology have come a long way since I first discovered them in 2012 at The Allergy & Free From Show. I have eagerly awaited every announcement for more stockists and I have been buying my own body weight in Banoffee puds. 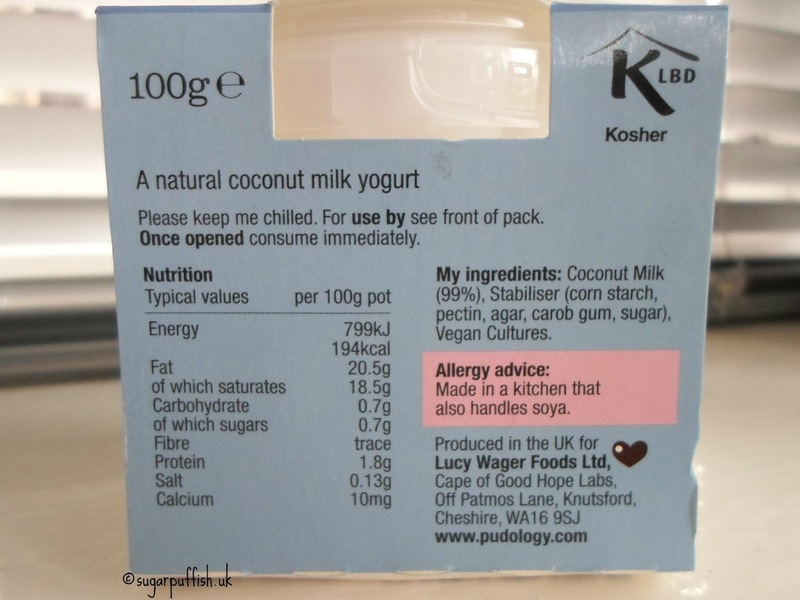 The reason I support Pudology is because Lucy, the creator of these magically puddings, understands allergies and from her own experiences she knows the struggles we can face. 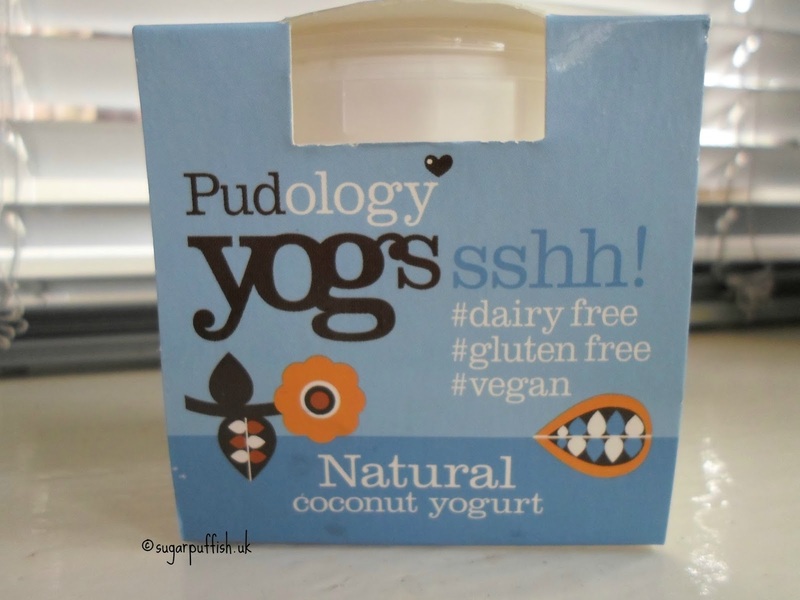 I was super excited to learn that Pudology will be launching a coconut yoghurt (aka Yogs) into Holland & Barrett. At the time of writing this I don't have a launch date but it will happen this month. Lucy kindly sent me a sneak peak and I eagerly sat waiting for my delivery with spoon in hand. There are two other brands of coconut yoghurt on the market, one I dislike and the other gave me mystery stomach aches. I can tell you Pudology Yogs have a different consistency to the competition, no more clotted cream gloop these are similar to regular soya (or dairy) yoghurts. I am also pleased to say no mystery tummy rumbles probably because Pudology appreciate the need to produce products without cross contamination risks. The yogs are plain so my sweet tooth does protest a little but this is easily overcome by adding fruits, granola or a drizzle of choc shot. I also think the yogs would work well in savoury dishes, I imagine they would be great for dairy free dips and curries. Follow Pudology on Twitter or Facebook so you don't miss the announcement of a launch date. Disclaimer - PR samples, 100% my own opinions after filling my belly full of samples! 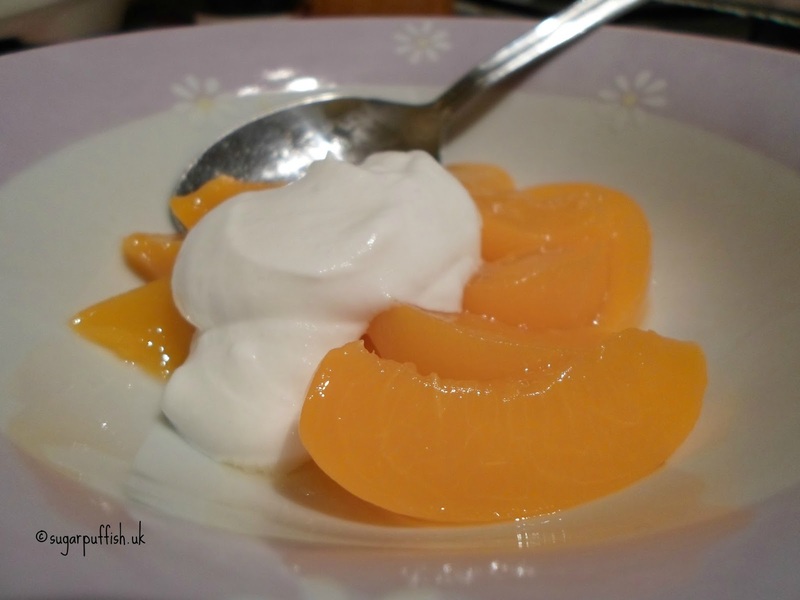 Ooh I love natural yogurts, and coconut, I'm so looking forward to trying these.